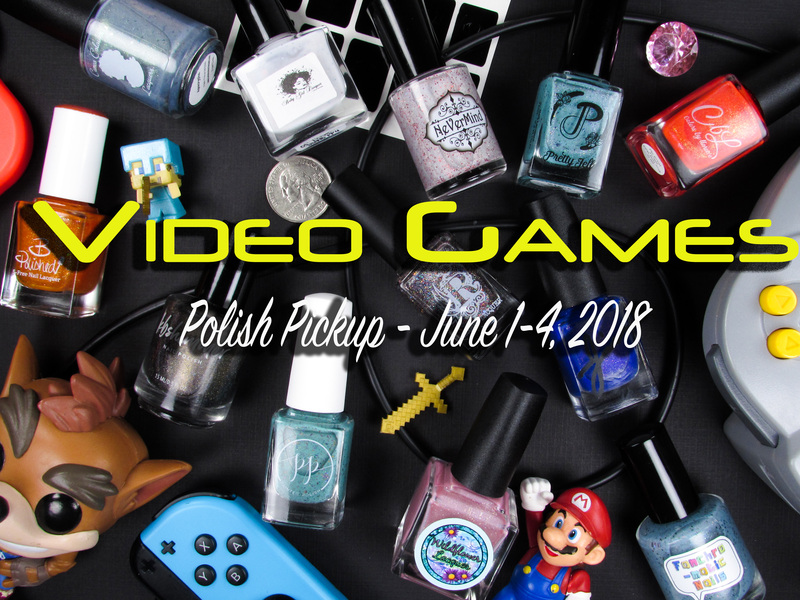 It’s Polish Pickup time again! 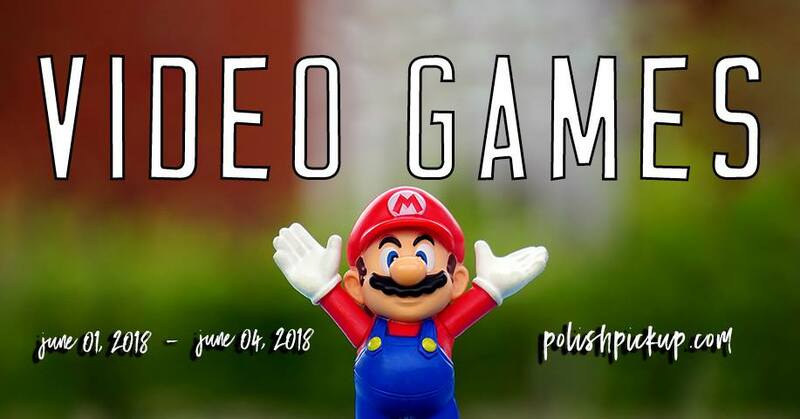 This month’s theme, video games, has been a very exciting one to explore! I wouldn’t call myself a gamer by any stretch just because of how spectacularly awful I am at playing them. That time-tested fact never stopped me from spending HOURS playing mainly: Goldeneye, Donkey Kong, Super Mario, Mario Cart and Mortal Kombat on N64. 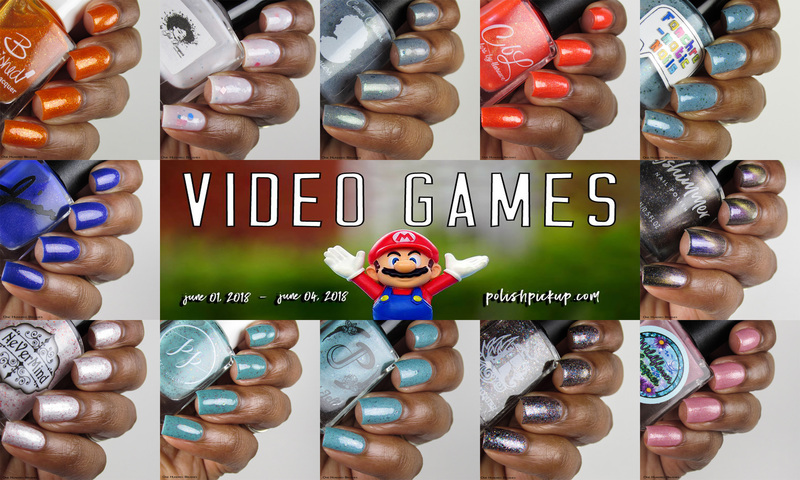 My boys who play infinitely better than I do have also found enjoyment in unwrapping the polishes as they came in, to see if they would recognize which video game inspired it. Yes, polish brings families together! My approach this month is slightly different, generating more of a round-up of all the polishes I have instead of doing individual posts. If Polish Pickup is new to you, let’s do a quick intro to get a grasp on the concept then we’ll dive in. This will be long; get cozy! Francine took inspiration from the game Crash Bandicoot with “It Hurts Like Tacos”! 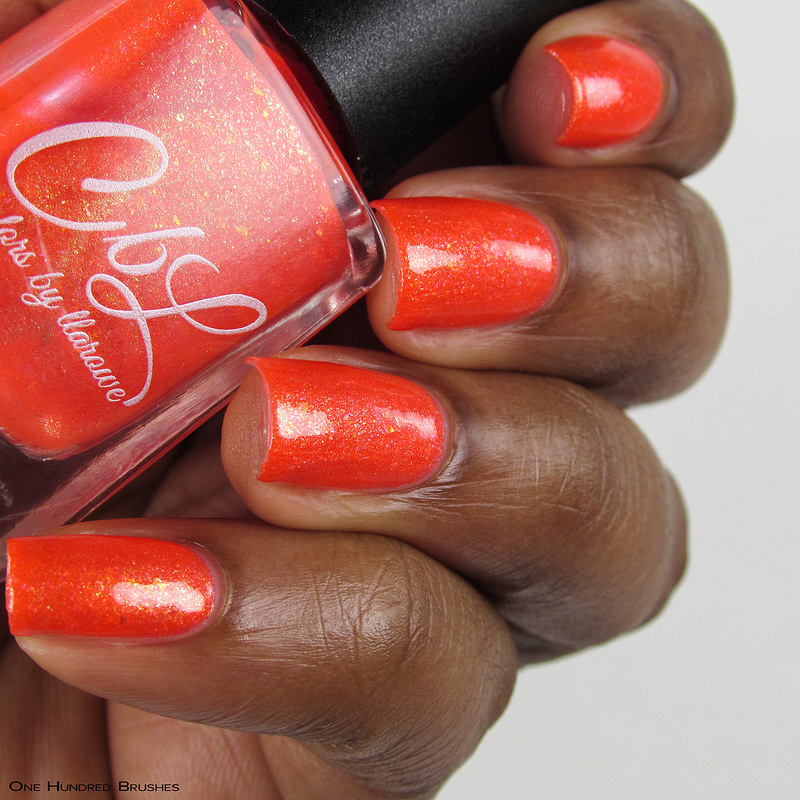 The base is a bright orange jelly with copper shimmer, green to teal shifting aurora pigment. There’s also a mix of red, blue and green glass flecks and color shifting flakes. 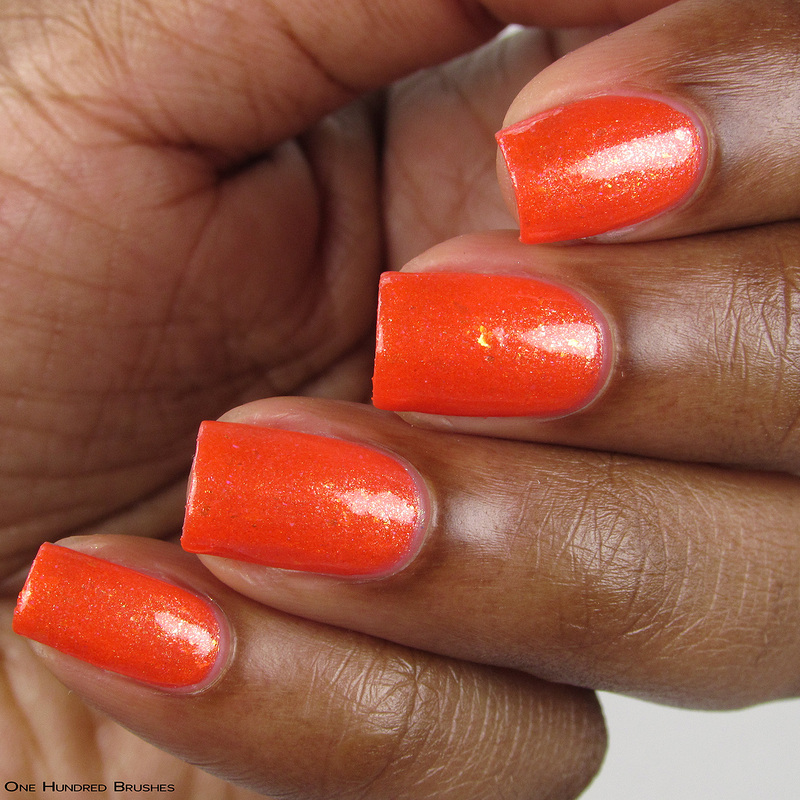 Great application with the syrup-like consistency akin to that of jelly polishes. I’m wearing two coats with a glossy top coat. 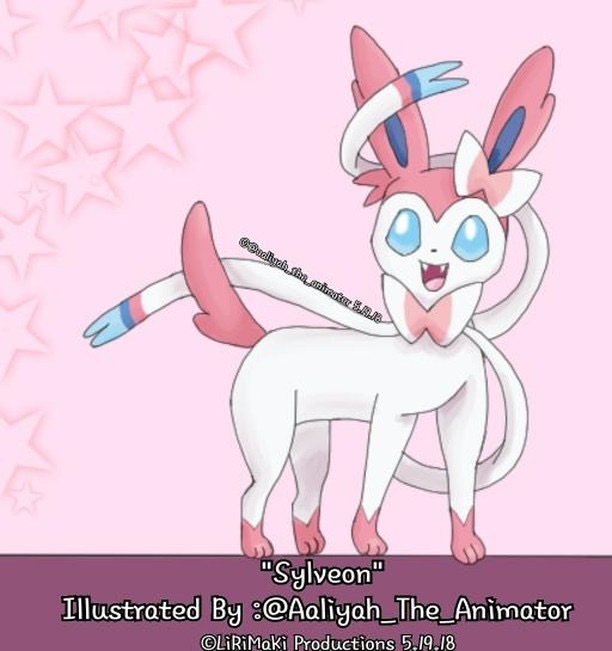 Nene drew inspiration from Pokemon, specifically one of the evolutions of Eevee, Sylveon. Pokemon was the first thing I saw my kids truly obsess over. They really clung to “gotta catch ’em all” like a mantra! I’m so thankful they’ve grown out of that phase and there are less of these cards strewn all over the house. 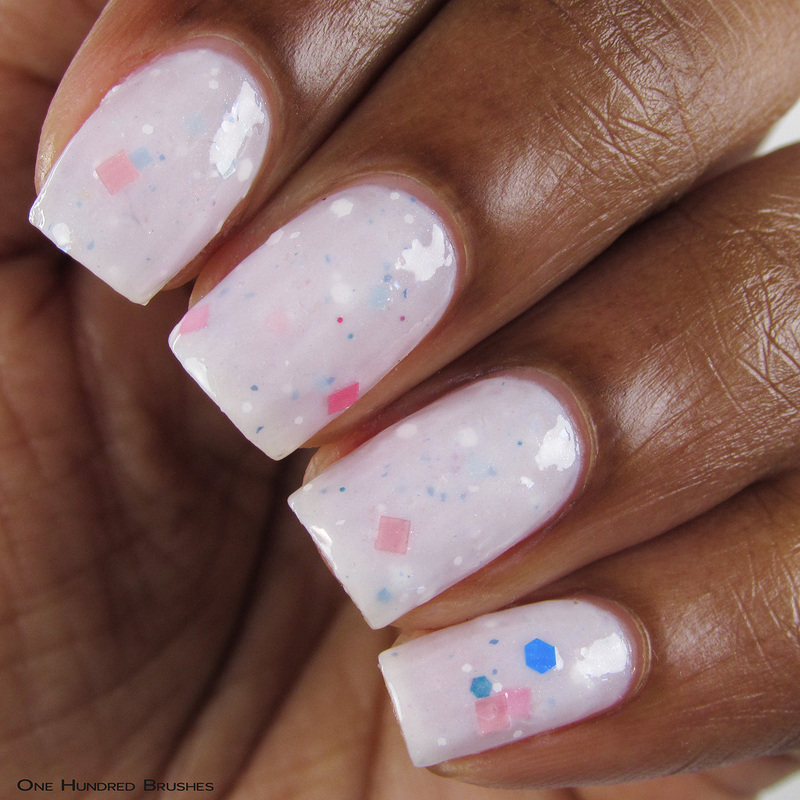 The polish is a soft, white crelly base with blue and pink hex glitters, iridescent blue and pink flakes and, blue and pink micro flakes. 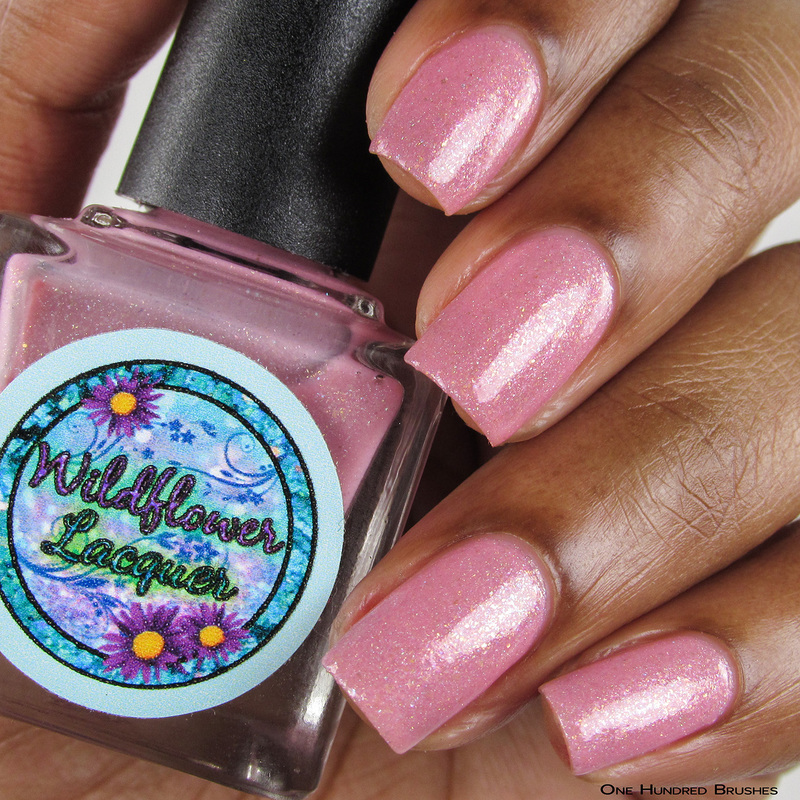 This polish is spot-on with the likeness of Sylveon! 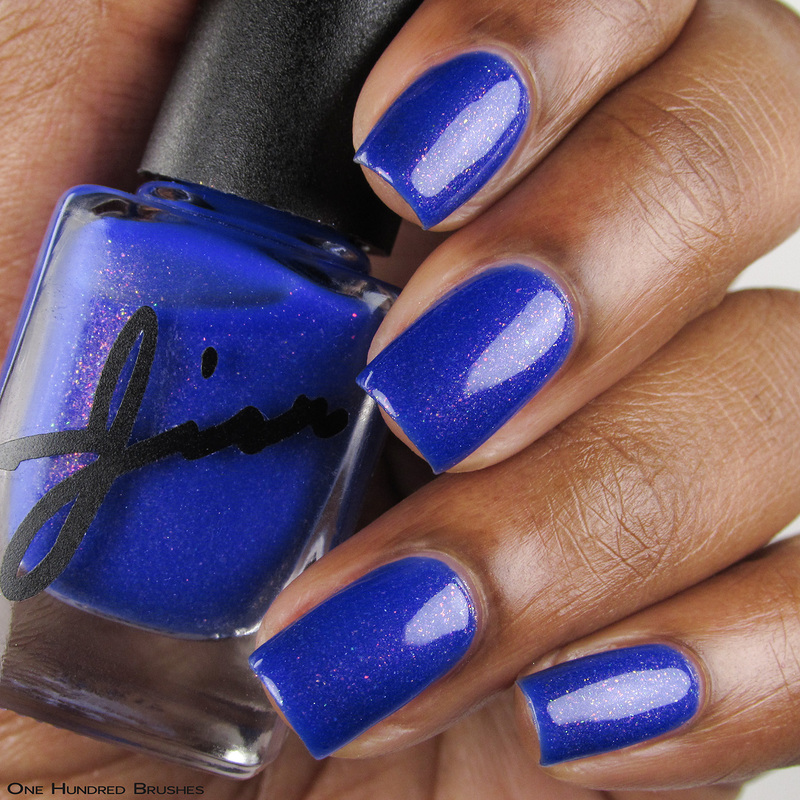 I’m wearing three coats with two coats glossy top coat. I did have a few issues with this polish. Being a sheerer polish in need of multiple coats, it did not self-level very well, leaving ridges and bald spots. 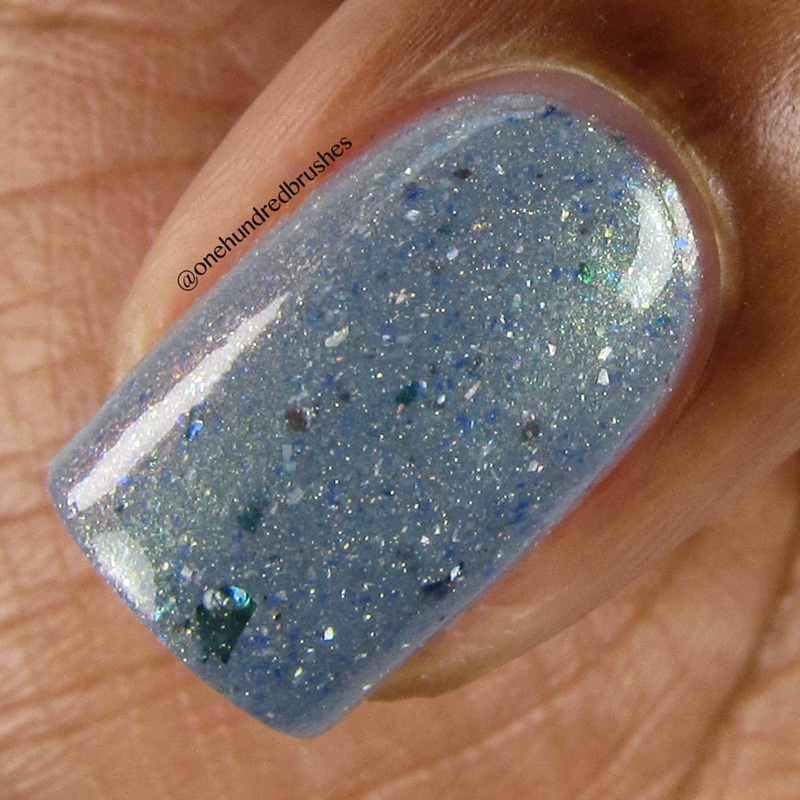 I also found myself fishing around for the larger glitters which I felt really adds pop and depth to the polish. Applying two generous coats of topcoat, in the end, did help with leveling out and made things come together. 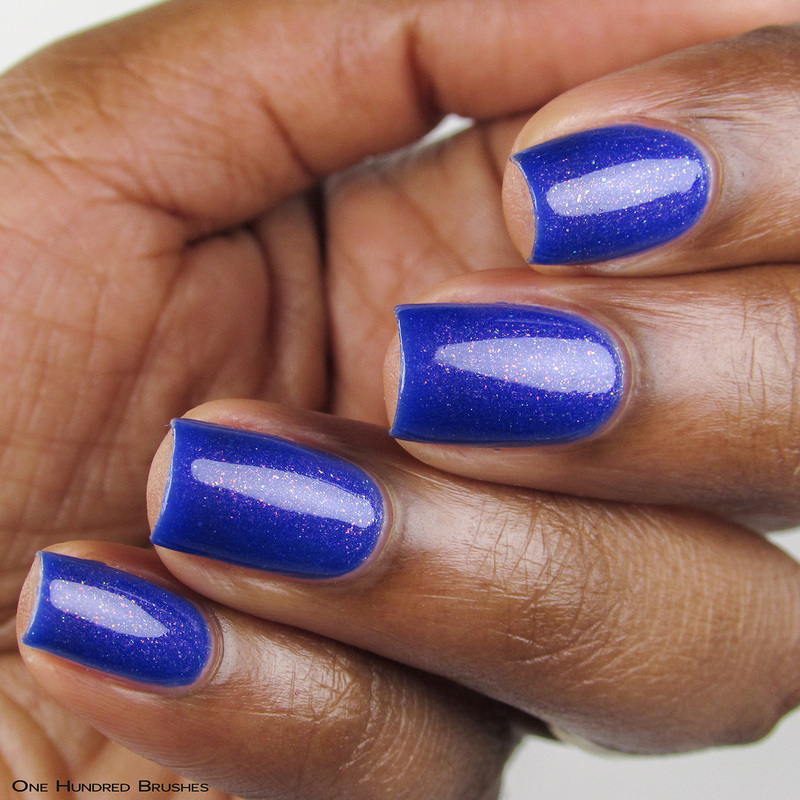 I reached out to Nene to express the challenges I faced with this polish and she informed that she would rectify them before sending the batches out to PPU headquarters. Cameo was inspired was by the game Skyrim! Her polish, Apocrypha, refers to the realm of Daedric prince Hermaeus Mora. I’ve never played Skyrim and thus know nothing about the inspiration, but this in no way stopped me from making heart eyes at this polish! 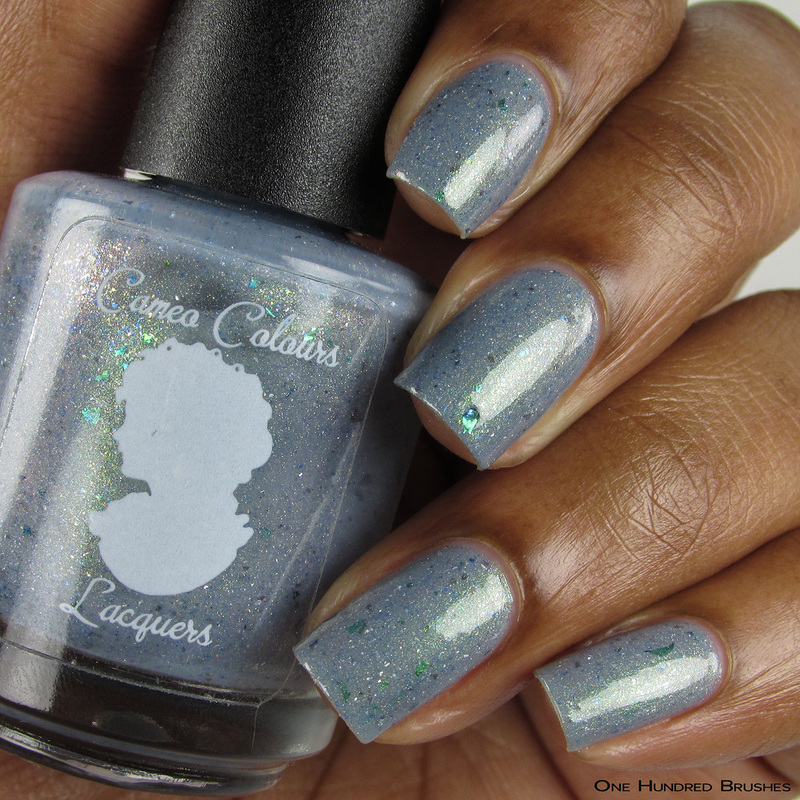 The base is light to medium blue-gray crelly with a bit of a dusky look. It’s full of green shimmer which immediately hits you and solidifies the likeness to her inspiration. Also seen are green, blue, and silver micro flakes, midnight sparkle flakes, UCC flakes shifting from lime to blue to gold, silver holo micro flakes, and a sprinkling of holo sparkle. I topped with a glossy topcoat. Great application as usual and the pairing of dusky blue and green work beautifully here. 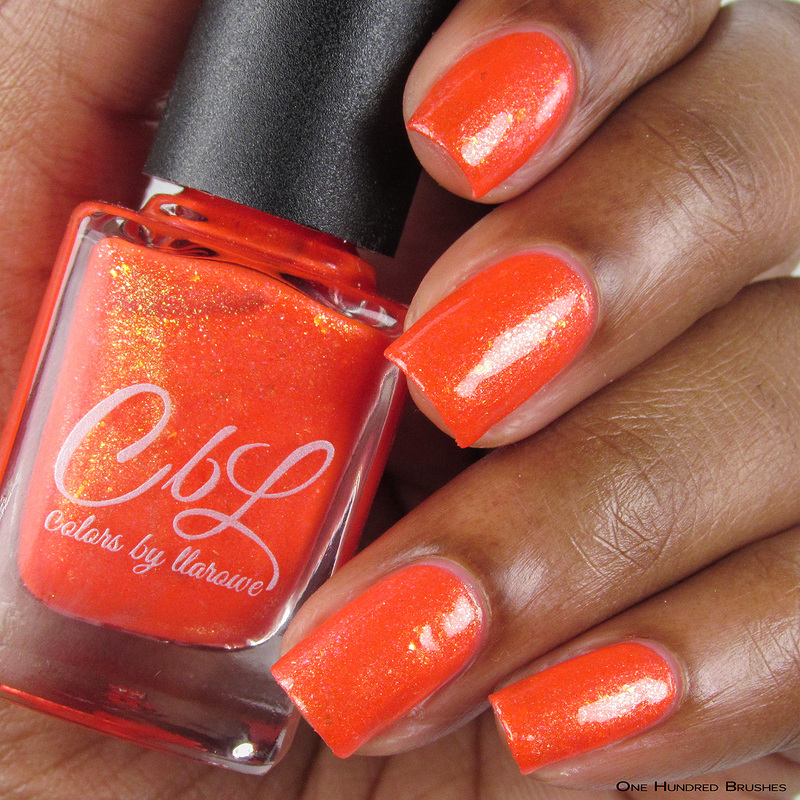 The game, Rayman 2 – The Great Escape inspired Leah Ann to create this bright and happy shade. The pink based orange crelly blushes with a pink to violet shifting shimmer and glows with green to orange shifting shimmer. Also mixed in are yellow to green shifting flakes, a rose shimmer and, an Aurora pigment that moves from green to orange shifting shimmer. I’m wearing two coats with a glossy topcoat. Oranges, especially those of the bright variety, are always a challenge to properly capture. My poor camera just loses it with all the bright happiness and spits something out. This shade leans a bit more toward pink than it does in my photos, which appear to have a reddish hue. 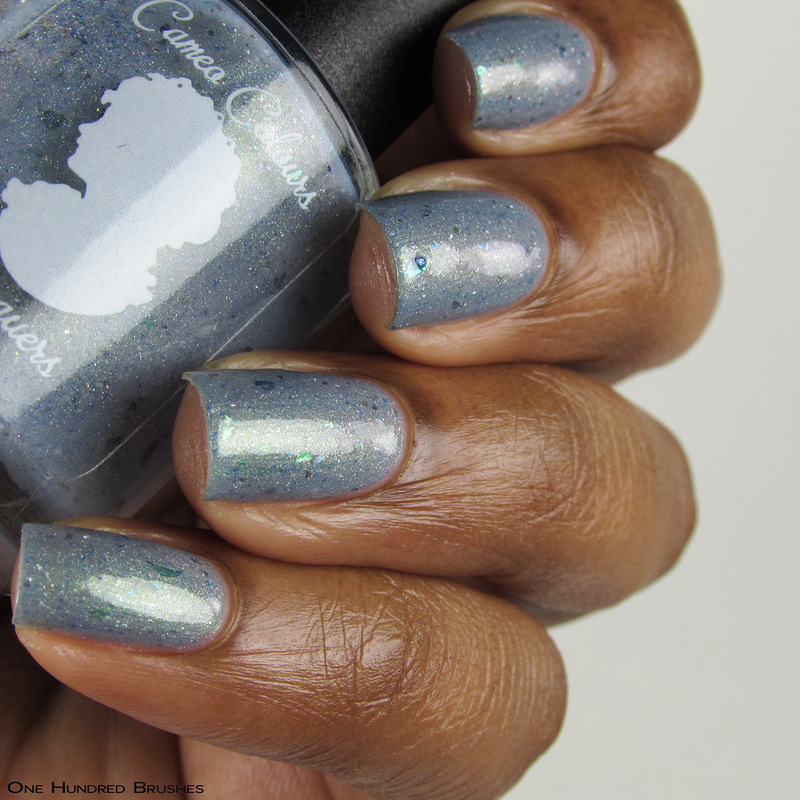 Give me all the dusky blues and greys! 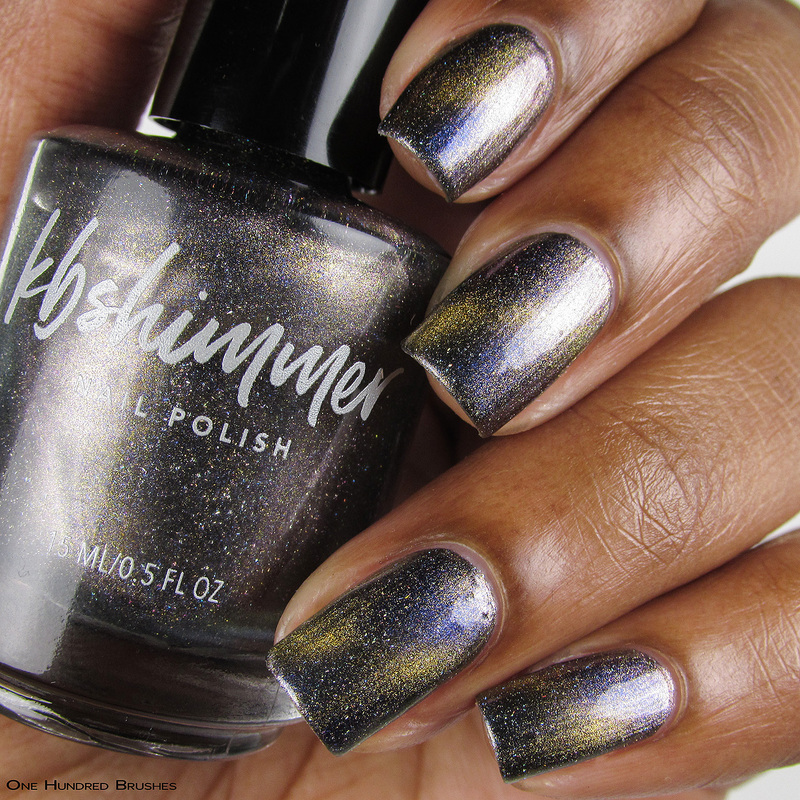 Lynae is hitting all the right notes for me with this shade inspired by the game, MYST. 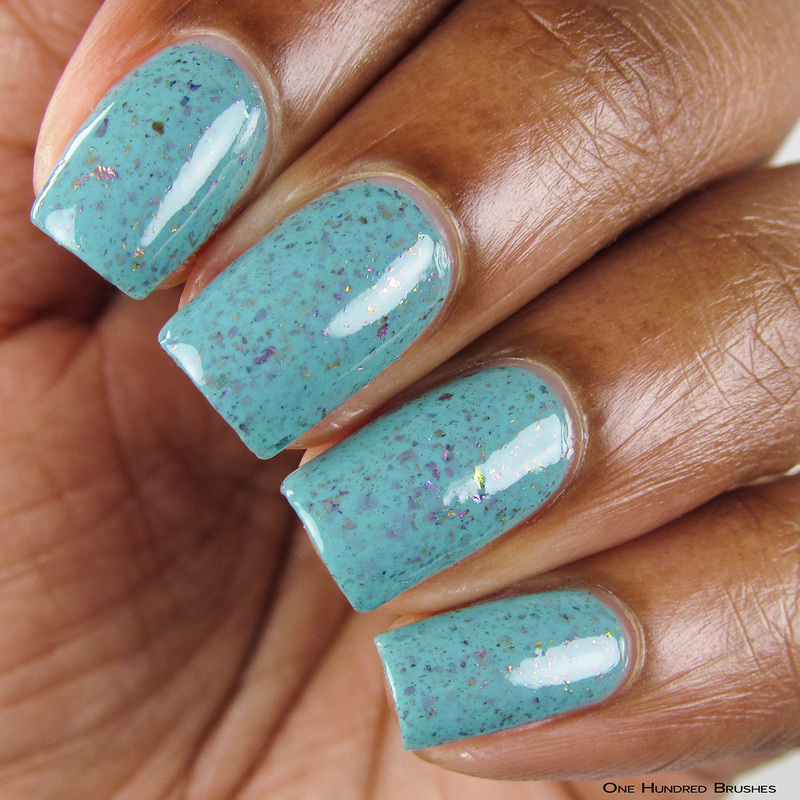 Atrus Shrugged starts off in a soft, sky blue crelly base with bursts of green glitter, and seven varieties of holographic, metallic, and iridescent flakes. 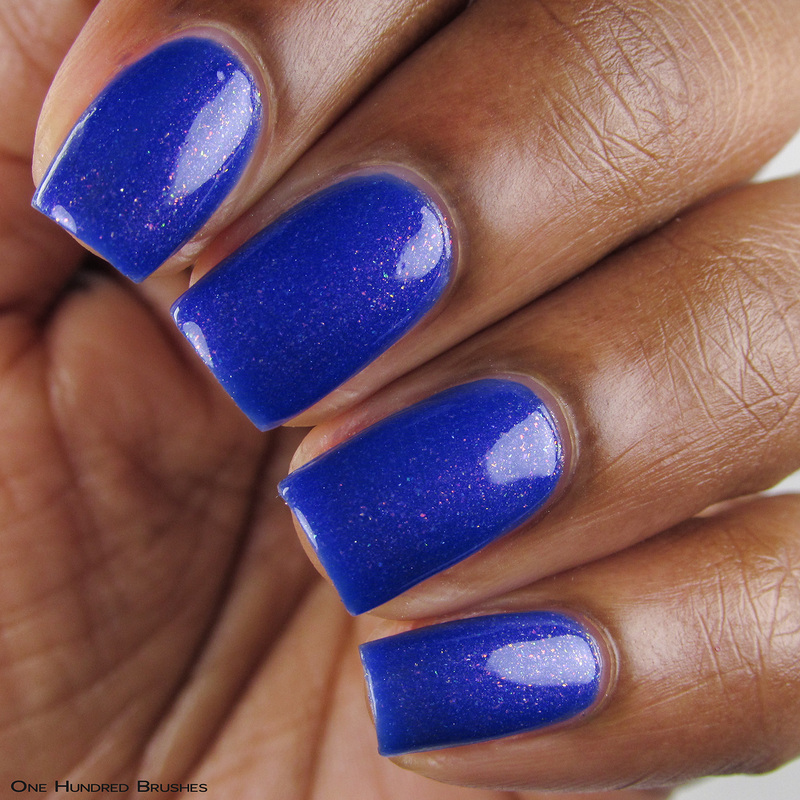 A subtle blue shimmer can be spotted at certain angles. I’m wearing two coats with glossy topcoat. 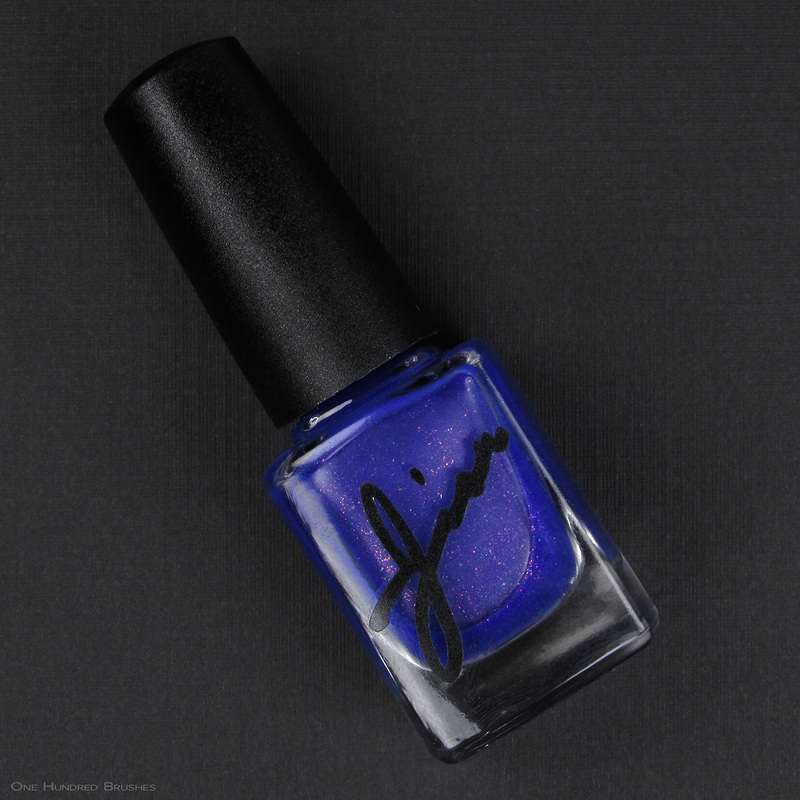 Jior Couture – Oh No, Wrong Spot! Sacha was inspired by one of my favorite time wasters, Tetris, with “Oh No, Wrong Spot!”. I’ve definitely muttered those words will playing Tetris, maybe with a touch more color. The medium blue base has a jelly-like consistency and has Aurora Pigment shifting from red to green to gold to orange. 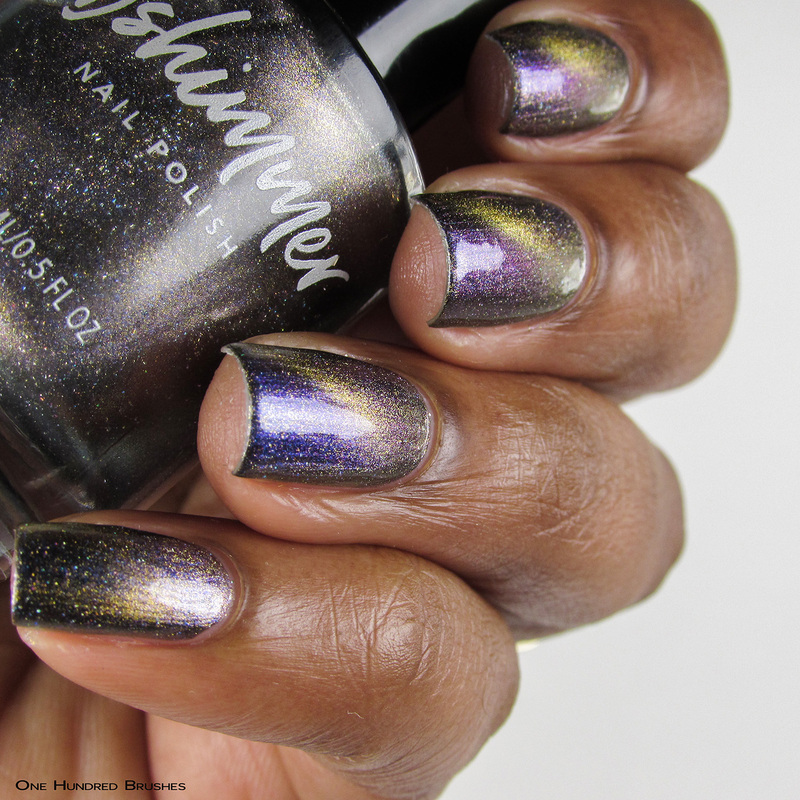 A purple shimmer creates a nice shift and casts a vibrant hue. 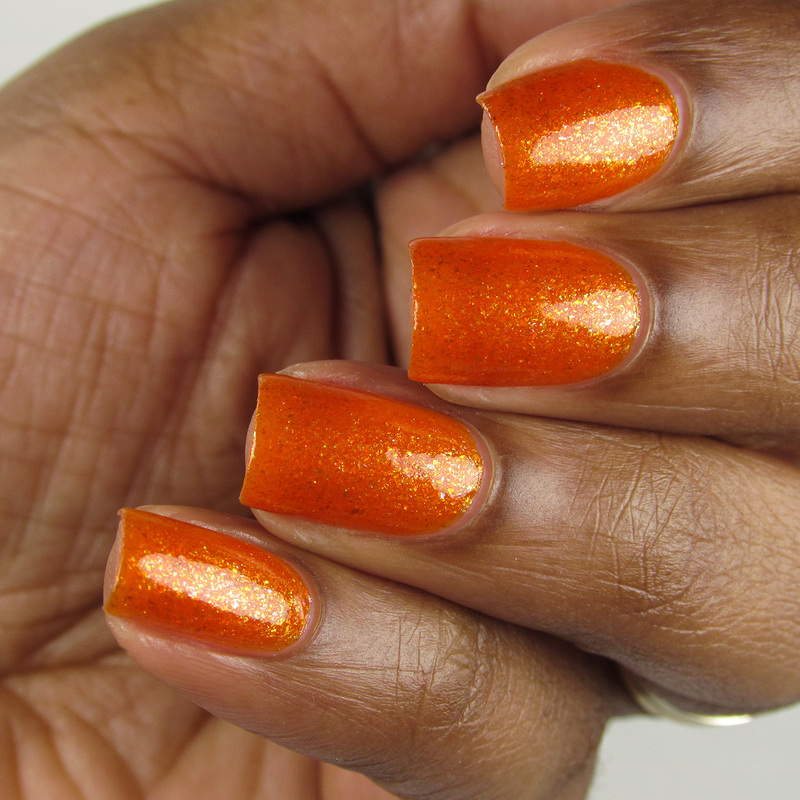 The opacity builds in three coats and I’m wearing a glossy topcoat. This is another one of those colors that my camera and I seem to have a shouting match at each other, with both of us yelling “WHY? 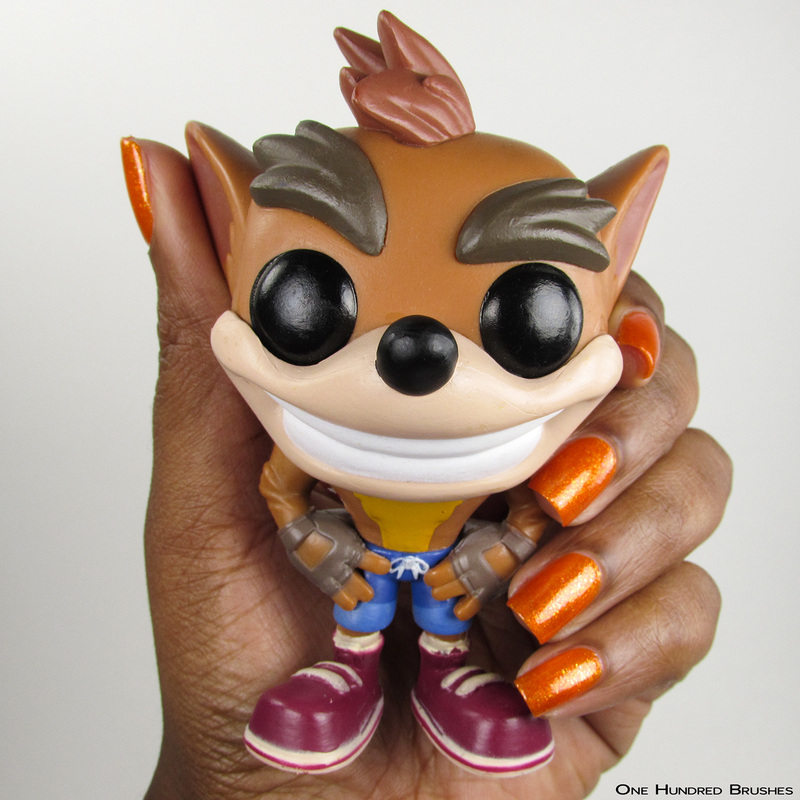 !” My swatches are pretty close to what I see in person, maybe with a bit more of the purple hue. Christy takes us back to the good ole days of trying to beat high scores in bright and loud video game arcades. Insert coin is a sparkly bronze base which becomes lively and animated after being magnetized. 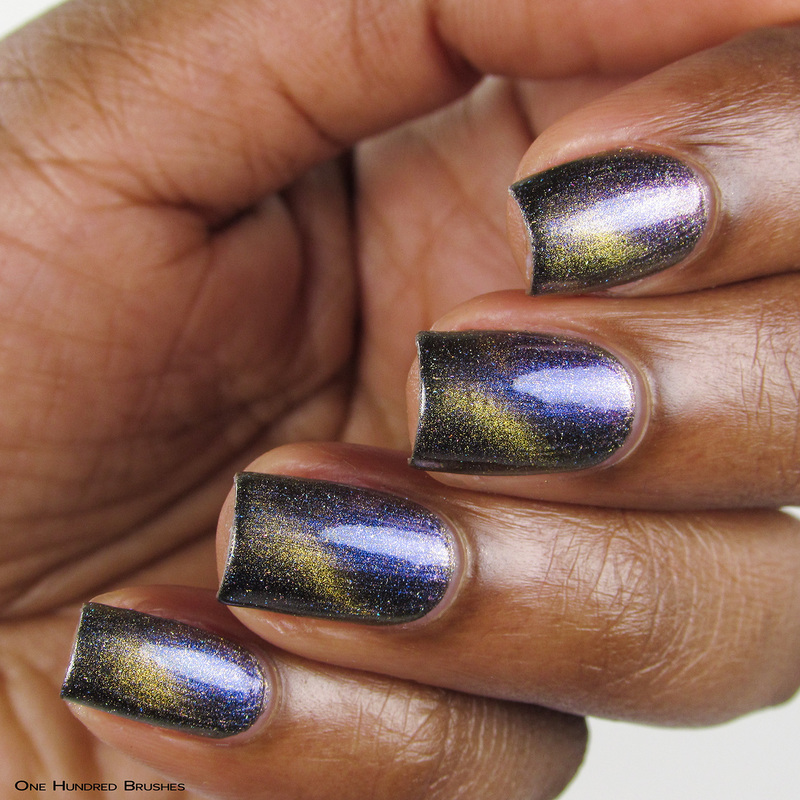 A brilliant multichrome shift of blue, purple and gold and holographic sparkles can easily be spotted. 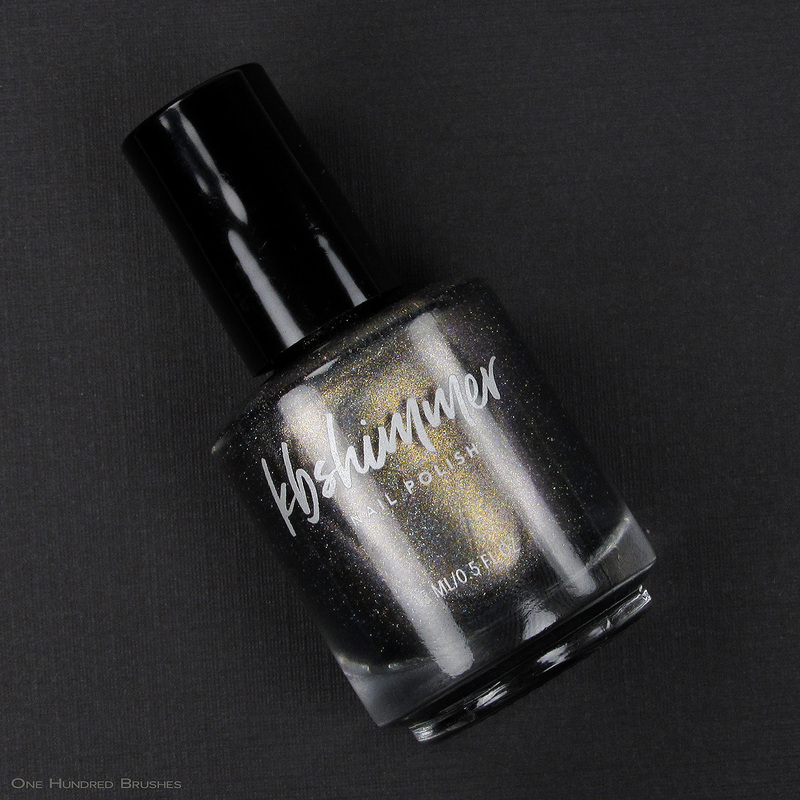 I’ve also included shots of the gorgeous bronze polish without the magnet effect, for those who may not have an affinity for magnetic polishes. I’m wearing three coats with a glossy top coat. 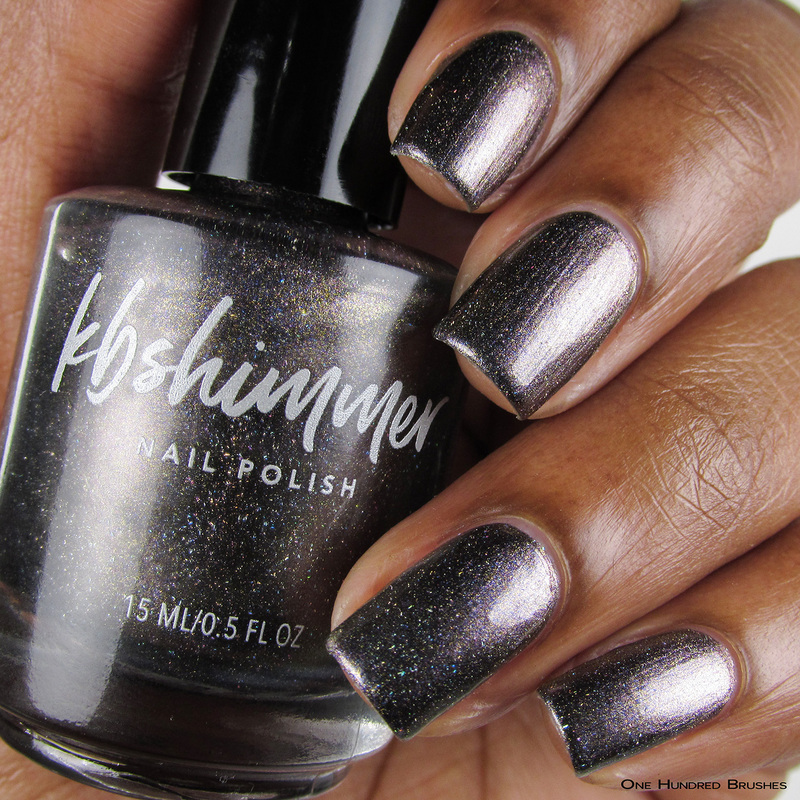 Insert Coin does not come with a magnet but KB Shimmer will also be offering a one for purchase. 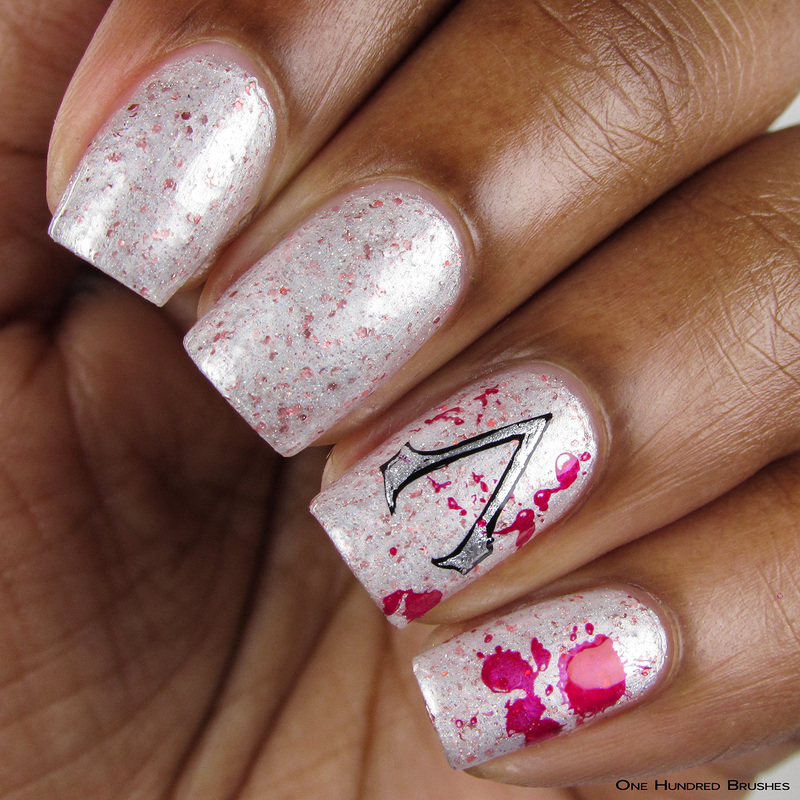 Jenn took inspiration from her favorite character from Assassin’s Creed, Ezio. “To Serve the Light” is based on his white and red assassin’s robe. The polish is a pearly white teeming with red metallic flakes, red holo shreds and a tiny sprinkling of holographic sparkle. 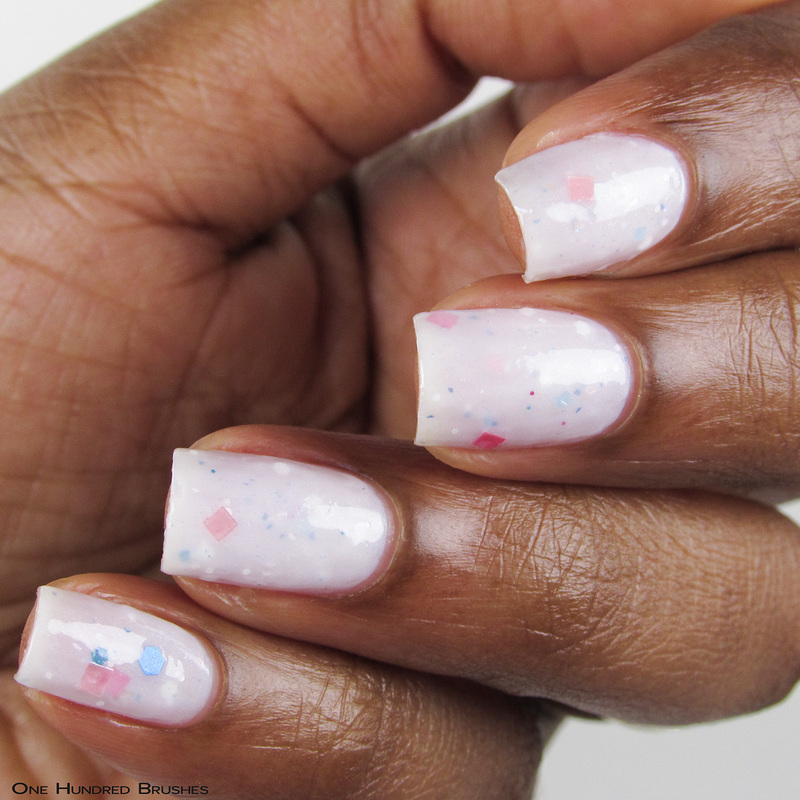 The shreds and flakes have this polish drying to a textured finish, but I used a generous brushing of glossy topcoat to smooth things out and make them pop. 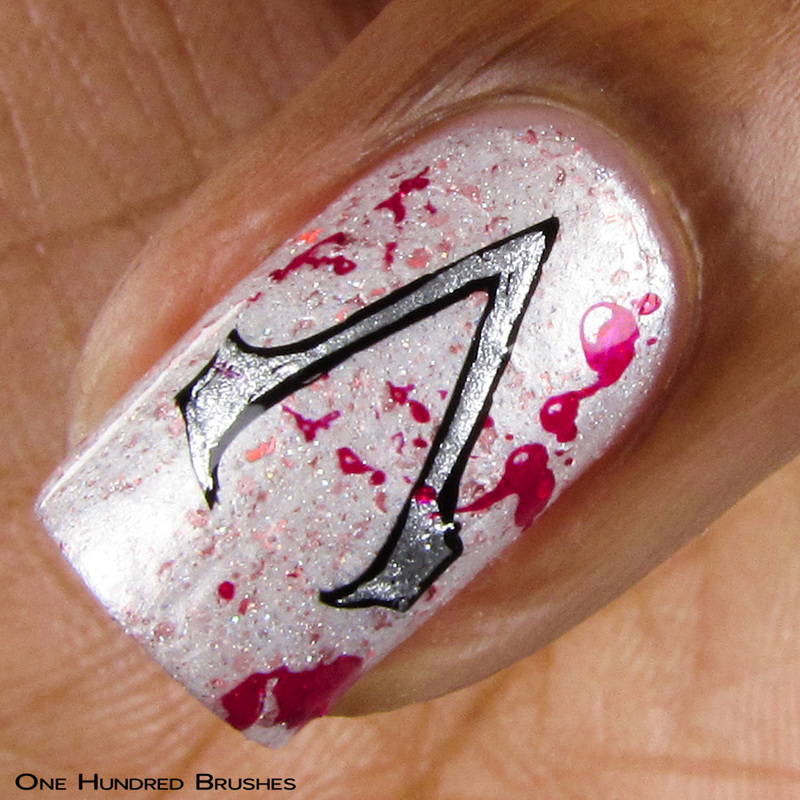 Also included with the polish is a set of 10 nail vinyls featuring Ezio’s insignia. The polish is very pigmented which could have easily covered up the red accents, but I was glad to see how they were still able to shine through. Wreck-it Ralph’s Vanellope von Schweetz is making her way back into PPU! Lexi chose her as the inspiration behind “Sugar Rush Crush”, a sweet turquoise crelly with a rainbow of shifty ultra-chrome chameleon flakes. 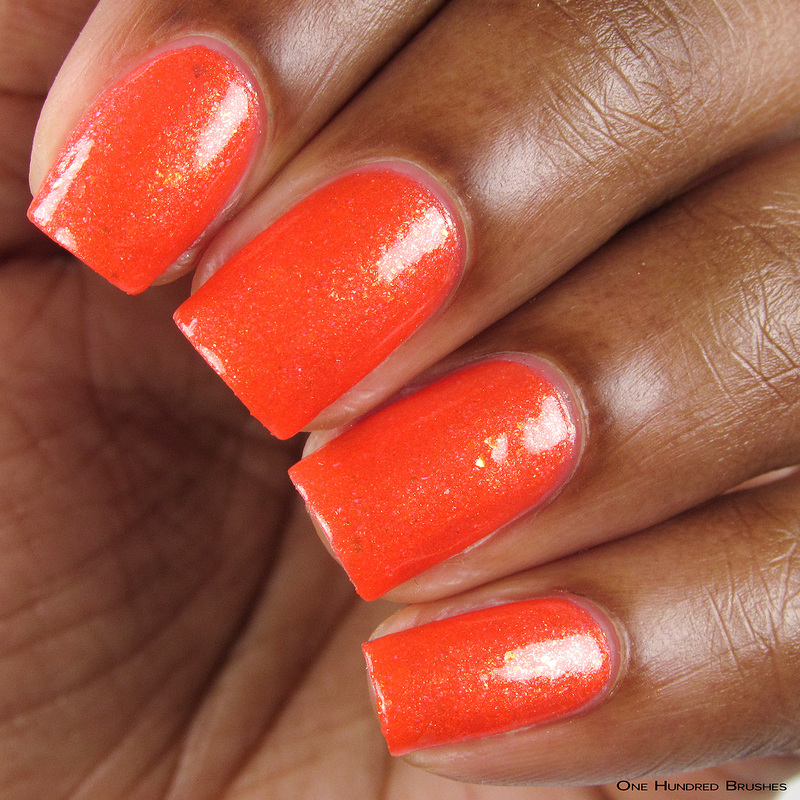 The medium sized flakes are very generous in this polish, laying nicely and dance colorfully when the light hits. I’m wearing two coats with glossy topcoat. 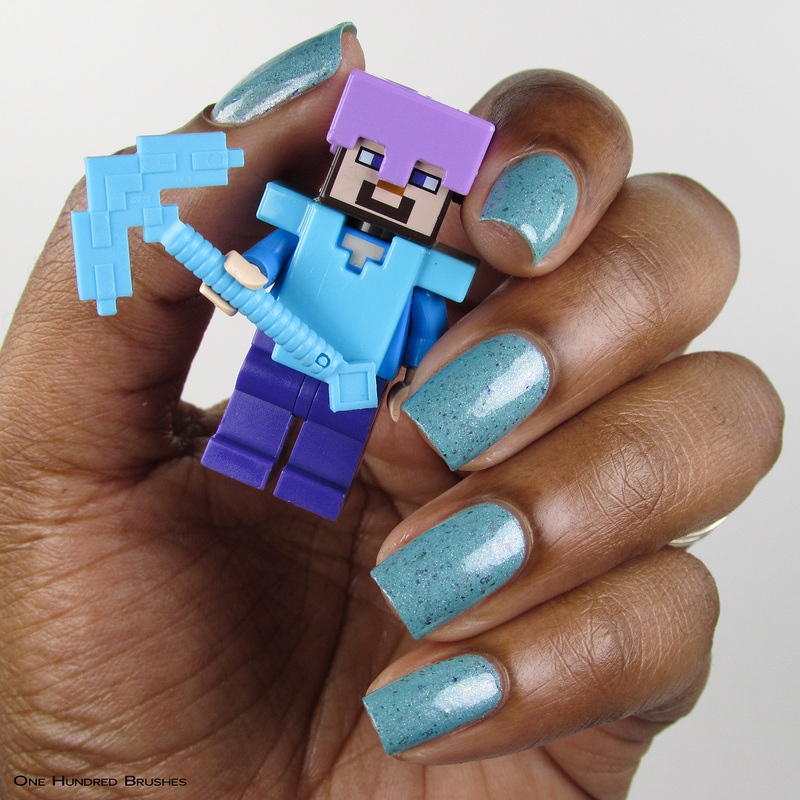 I owe some of my sanity to Minecraft! This game came in and saved me from the never-ending card (cleaning) quest that was Pokemon. My kids never had a desire to actually play Pokemon, they just needed ALL THE CARDS. In came Minecraft, with no cards to collect, and they were perfectly satisfied with watching instructional videos on YouTube in order to do whatever you’re supposed to do in the pixel world. I even caught my then five-year-old, taking “notes” and drawing recipes for potions! 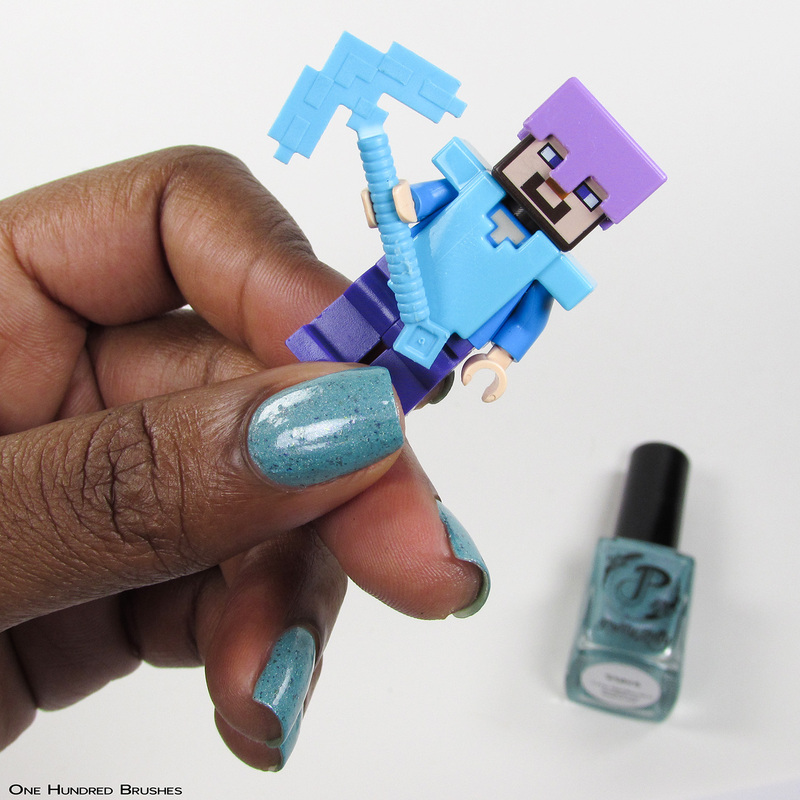 Okay, enough of my praise for Minecraft; the polish! 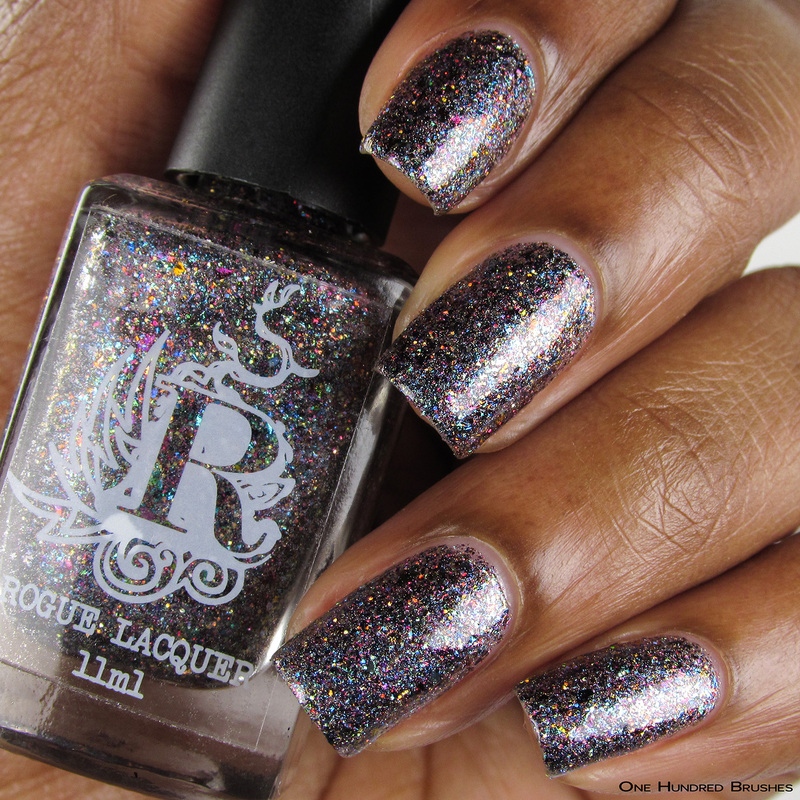 Rogue Lacquer – It’s on Like Donkey Kong! 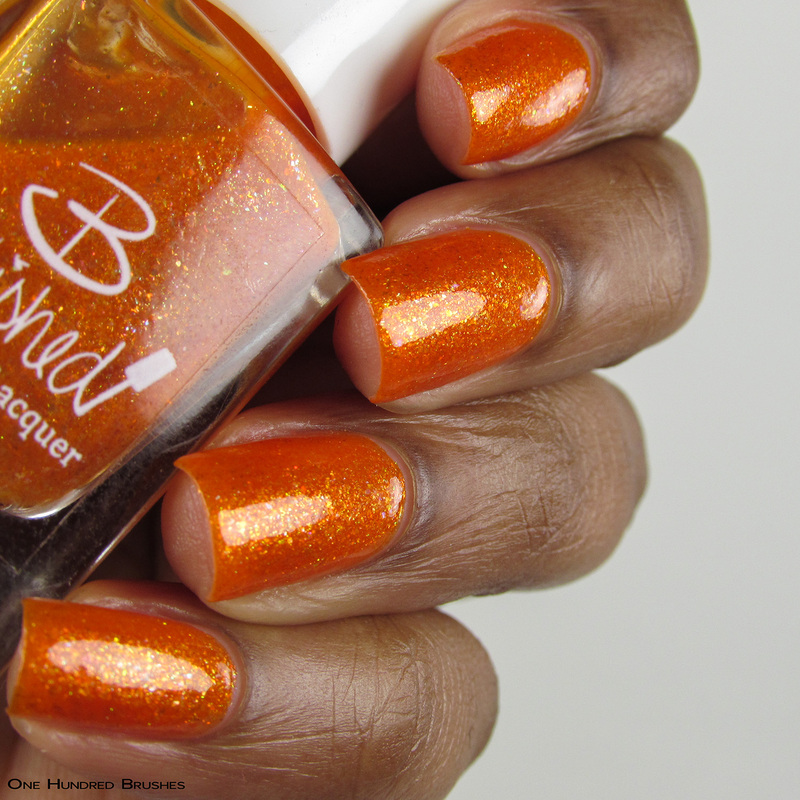 This polish right here, B-A-N-A-N-A-S! Donkey Kong 64 was one of my favorite games to play growing up and seeing it listed as an inspiration quickly brought me down memory lane. 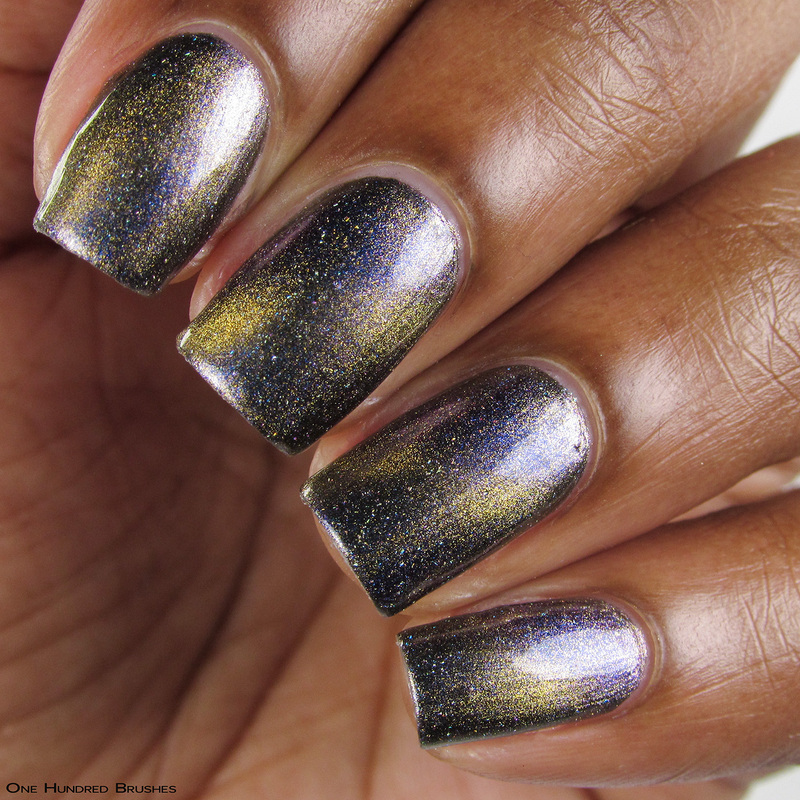 Rachel created a barrel full of color and sparkle with this rainbow metallic flake bomb. Flakes in shades of copper, gold, silver, cyan, blue and red are intertwined with copper, magenta and holographic glitters. It dries nicely leveled with a bit of texture. I’m wearing three coats with a glossy topcoat to bring out all the bling. I was surprised by how easily this applied and how quickly it built to opacity. Taylor is rekindling infuriating thoughts toward Mario Brothers with “Your Princess is in Another Castle”! How’s about rescuing your own self, Princess Peach? Or meeting halfway at least…?! This light pink jelly sure does help temp down that rising rage. 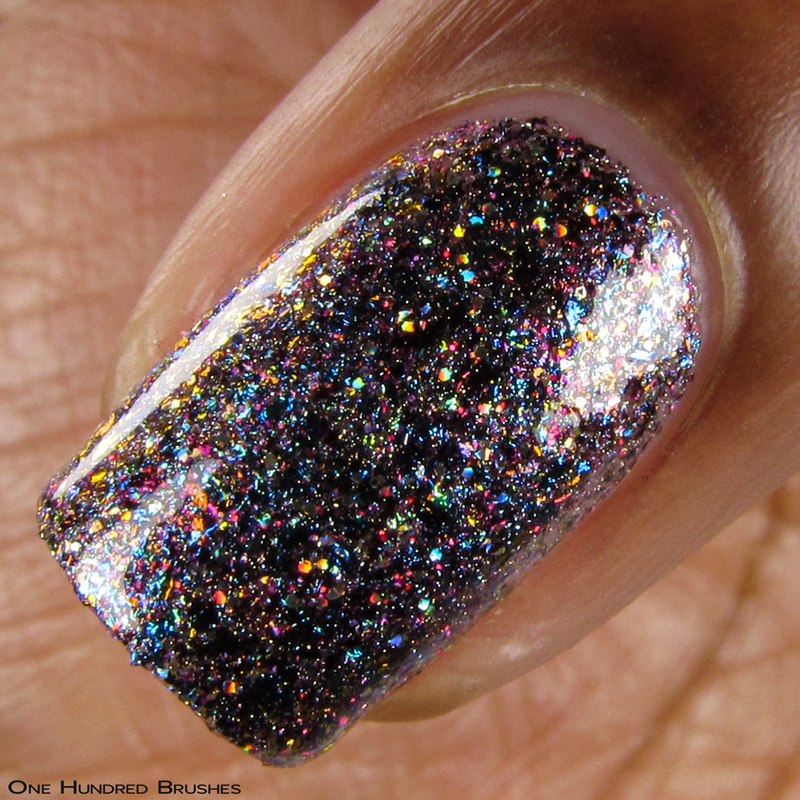 It’s so sweet and sparkly with its gold flakes, rainbow sparkles, and scattered holographic flakes. I’m wearing two coats with a glossy topcoat. What an exciting month this has been, with so many more offerings all ready to be added to your cart. Be sure to build your wishlist, especially when it comes to those with limited quantities. 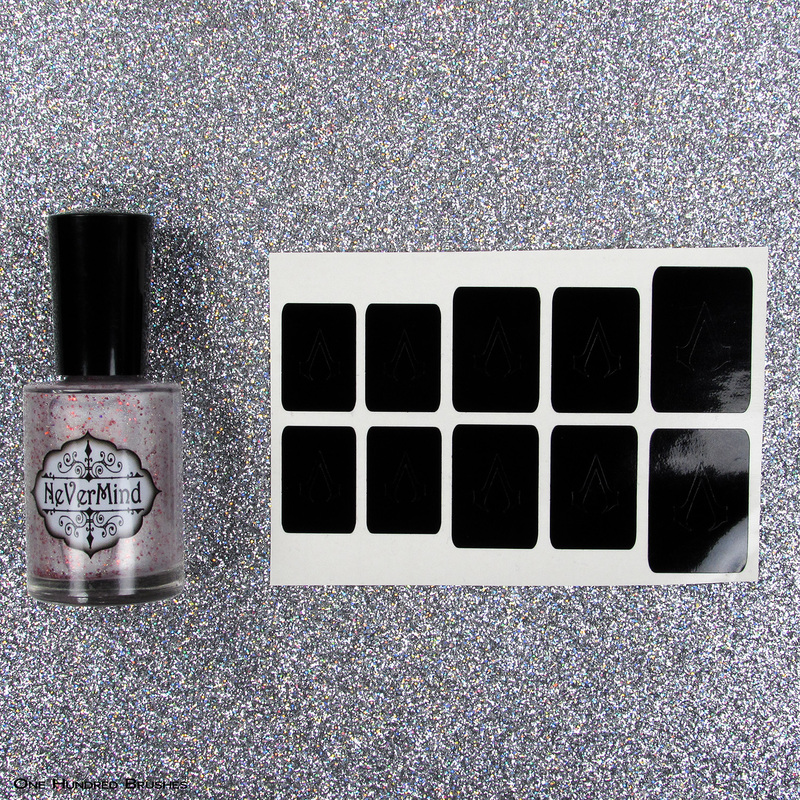 For a live show and swatch of the polishes and other items available this round of Polish Pickup, don’t miss Delanie of Fat Cat Pawlished‘s live events on Facebook! Let me know, what’s on your wishlist? Also, what are your favorite video games? These are great! I love Ezio! I never played Assassins Creed, looked way too exciting for me! 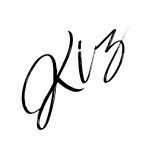 Thanks so much for the shots and words Kiz really helping me out my bank account not so much! ??? You know how much I love helping 😀 Thanks babe! ?